Duff is Homer's drink of choice. Sitting barside in Moe’s Tavern might be out of the realm of reality for fans of the Simpsons but now they can at least sip on Homer’s tipple of choice, Duff Beer. The fictional bevvie has been transformed from cartoon to reality and is set for international release in the coming months. The first pints of the beer, previously only enjoyed exclusively in Springfield, went on sale in Universal Studios in Hollywood and Orlando last week. Now Twentieth Century Fox plan to release the brew in throughout Europe and the US in the coming months. 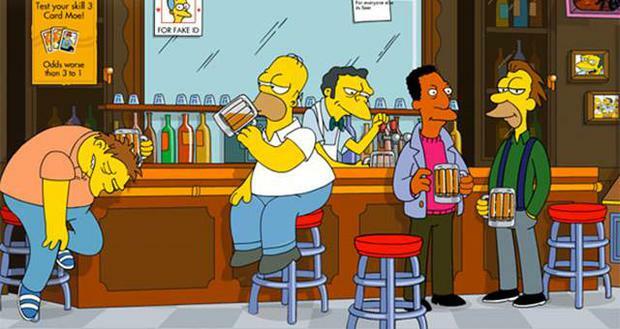 The Simpsons creator Matt Groening has previously expressed his worry that the show might promote drinking, especially as much of The Simpsons audience are children.